Since Charlie was small, we’ve often referred to her as our Goldfish Princess for the simple reason that she could eat Goldfish crackers day in and day out for every meal. Goldfish have always been her go to snack and that smiling fish has thus been a staple in our house for years. Originally designed as a soup cracker, I’m not sure even Goldfish knew how many kids would grow up on their crackers but the cracker has been putting smiles on kids faces for years. 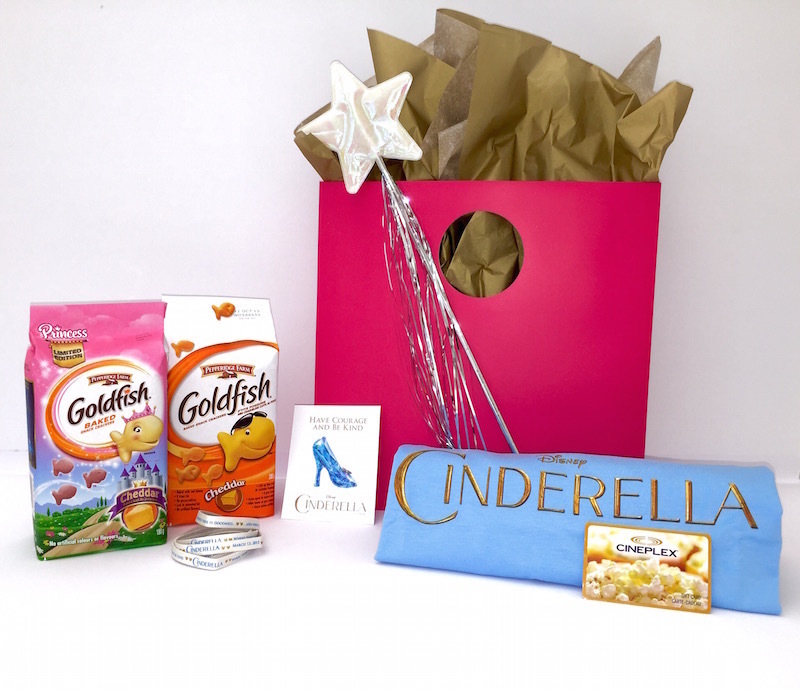 Recently, Goldfish invited me and Charlie to check out Disney’s Cinderella to celebrate the release of their Goldfish Princess Crackers. A limited edition pink cracker released to celebrate Cinderella and tiny princesses everywhere. 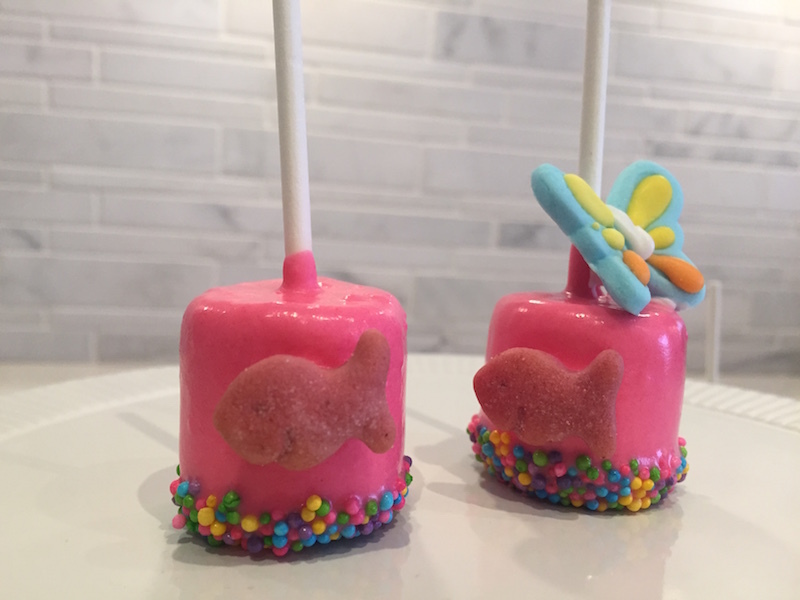 The princess crackers like all Goldfish are made with natural colours and real cheese. Being at the event inspired me to throw Charlie a little Goldfish celebration of her own here at home. 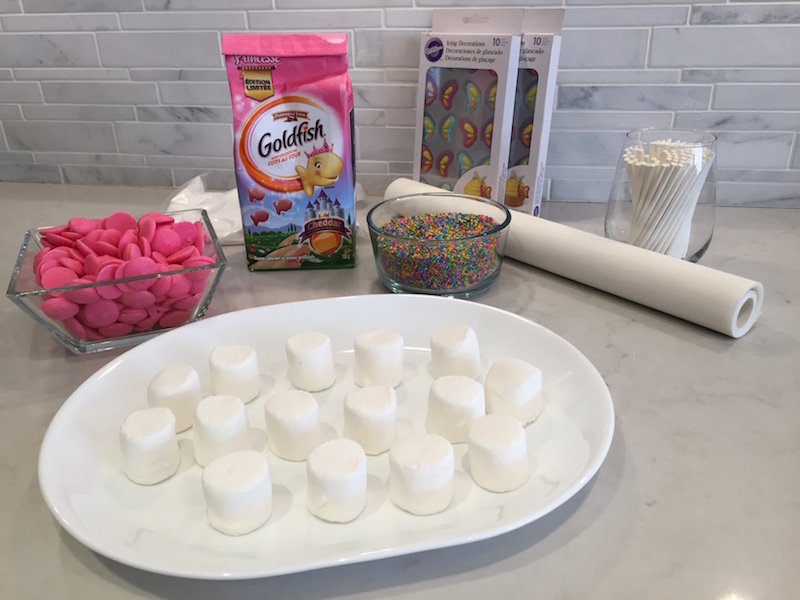 To do so, we hit the kitchen together and prepared some adorable Goldfish Princess Marshmallow Pops combining her love for marshmallows, Goldfish, all things pink and princess and of course the butterflies that are featured in Cinderella. Let sit for 20 minutes while trying to keep tiny princesses away from the finished product. Add a little royal icing to the middle of the wings to create a butterfly body with a knife or piping bag. 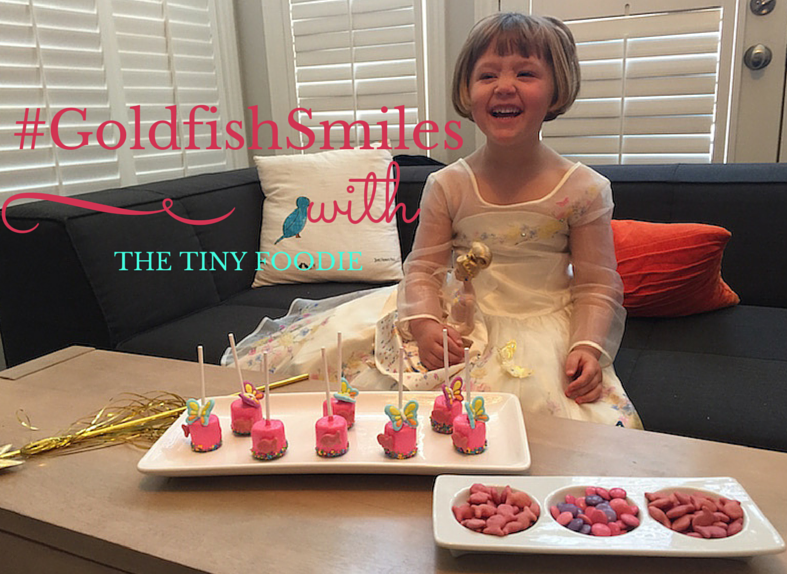 Goldfish loves seeing kids enjoying their food and wants to see your #GoldfishSmiles too. Don’t forget to hashtag #GoldfishSmiles and show off your awesome Goldfish moments.